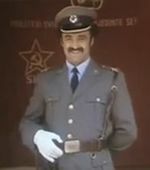 Neka ovo bude jedna opsta tema za iste posto im broj raste konstantno a nema adekvatne teme za sve. Na Sofex 2016. Ukrajinci su predstavili novi borbeni modul Duplet a koji se moze ugraditi na razlicite gusenicare ili tockase. 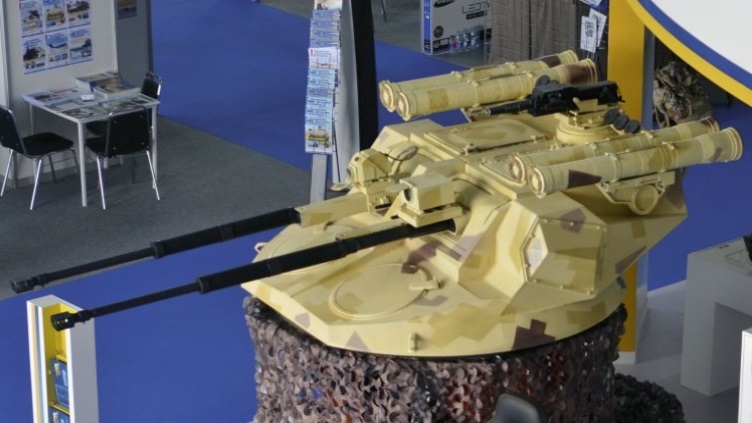 Citat:The two-person Duplet CM has welded steel armour and is armed with two stabilised ZTM-2 dual-feed cannon - the Ukrainian equivalent of the Russian 30 mm 2A42 - which have a cyclic rate of fire of 330-550 rds/min. The module is also armed with two KT-7.62 mm machine guns (MG) that are positioned between the two 30 mm cannon, a single KBA 117 30 mm automatic grenade launcher (AGL) is mounted above. Two banks of Kyiv State Bureau Barrier (Bar'er) anti-tank guided weapons (ATGWs) are mounted one bank either side on top and to the rear of the Duplet CM. 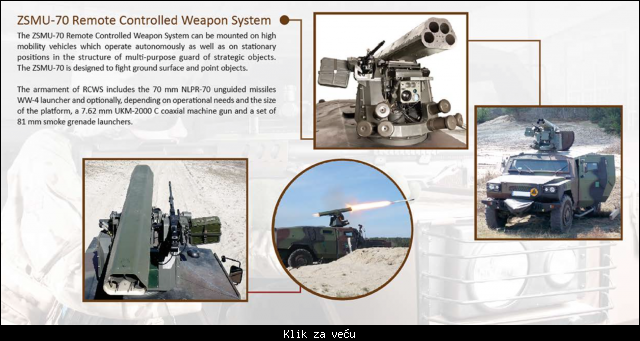 The semi-automatic command to line-of-sight (SACLOS) guidance Barrier ATGW is laser guided and has a maximum range of up to 5,000 m.
While the first example has the Barrier ATGW manufactured in Ukraine, these could be replaced by other ATGW, according to the end user requirements. The computerised fire-control system (FCS) includes thermal imaging, TV, and day channels as well as a laser rangefinder and missile laser guidance channel. The FCS can detect targets at a range of up to 8,000 m during the day and up to 4,000 m at night, but with an enhanced surveillance package this can be increased to 10 km and 8 km, respectively. Novi zivot za stare britanske CVRT. Jordanska modernizacija sa Ukrajincima, Sofex 2016. Borbeni modul Kastet. 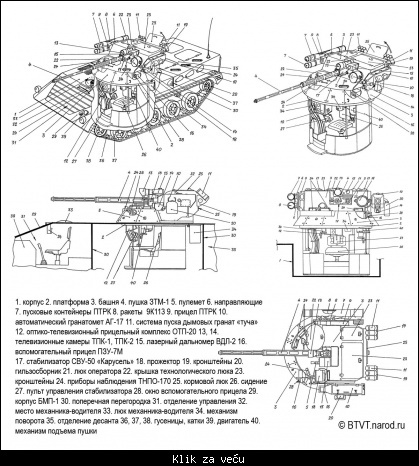 Citat:The original turret of the CVRT is removed and replaced by the Ukrainian "KASTET" combat module. 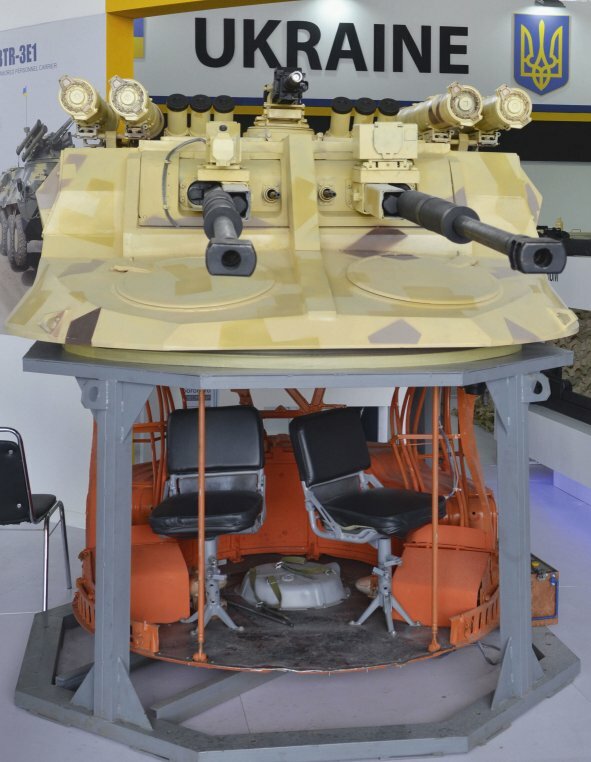 The "Kastet" is a modernized turret based on the Shkval turret which is mounted on BMP-1 used by the Ukrainian and Georgian army. 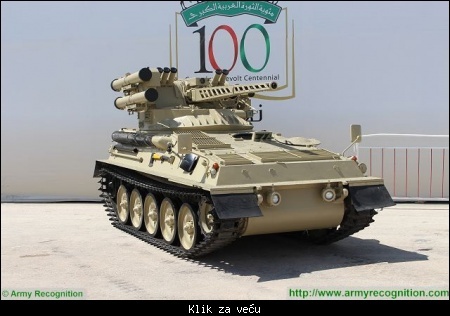 The "KASTET" combat module was designed to offer a modern weapon systems which can be fitted on existing light and medium weight armoured vehicle. 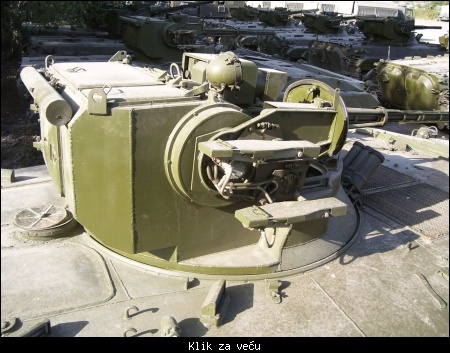 The "KASTET" turret has a total weight of 1,500 kg. 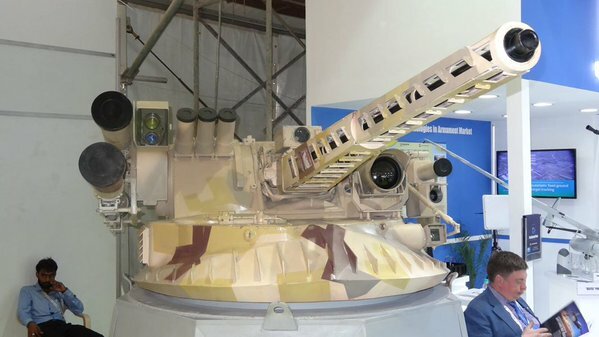 The combat module "KASTET" is fitted with a new fire control system using multi-channel optical and TV sighting complex. 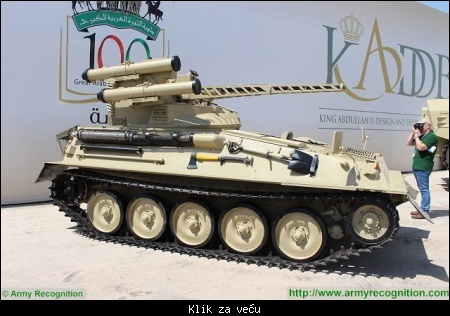 The "KASTET" turret is armed with ZTM-1 30mm automatic cannon which can fire a full range of ammunition as APT and APIT at a maximum range of 2,000 m. Second armament includes one 30 automatic grenade launcher KBA 117 and one KT 7.62mm machine gun. 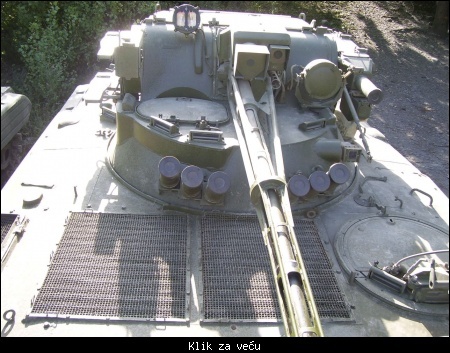 On the right side of the turret, there is two launchers for "Barrier" ATGM (Anti-Tank Guided Missile). The missile is able to destroy armored targets at distances from 100 to 5,000 meters. [url=https://www.mycity.rs/must-login.png kakvog možemo videti na robot platformi Miloš u malo doteranom izdanju. 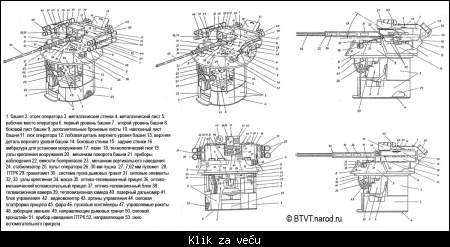 Baš me zanima koliki pad ima raketa 70 mm u horizontalnom letu prema meti (balistika). Nije takva vatrena stanica ni loša ideja, ubaciš balistiku rakete u kompjutor RCWS koji se kasnije pobrine za pravu elevaciju. Jeftina varijanta za napad na laka oklopna vozila, čime štediš projektile za PORS.